When I retire, I plan to invest half of my nest egg in a Standard & Poor’s 500 index fund and the other half in a total bond market index fund and then withdraw 3.5% each year adjusted for inflation. 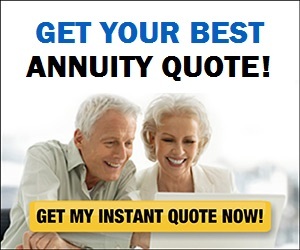 Is this a retirement income plan that will work? You’ve got a good framework for a retirement income plan. But before you actually retire, there are a few relatively simple refinements you ought to consider that might improve it, and help you enjoy a more secure retirement in the bargain. The first thing you should do is create a retirement budget. It’s one thing to say you plan to live off an initial 3.5% withdrawal subsequently adjusted for inflation plus whatever income you’ll receive from Social Security and any pensions. But what people think they’ll spend in retirement and what they end up spending can be two different things. For example, although many people assume their spending will automatically drop, a 2015 study by the Employee Benefit Research Institute found that that almost half of retirees spend more in the years immediately after retiring, with some boosting their outlays by more than 20%. 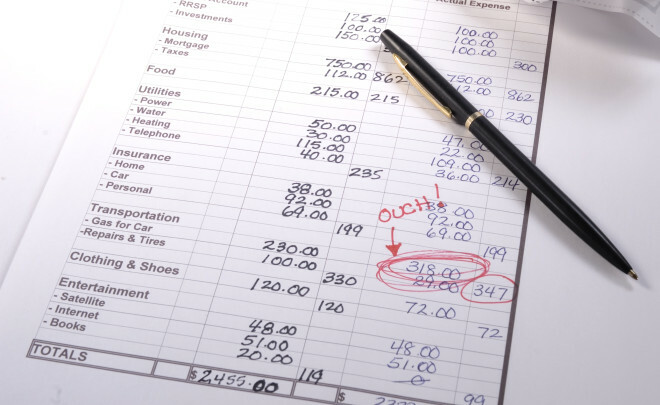 So before you pull the trigger on retirement, you’ll want to have a better idea of the expenses you’ll actually face after you leave work and, more important, whether you’ll have sufficient income to cover those expenses. The easiest way to do that is by going to a free online budgeting tool like BlackRock’s Retirement Expense Worksheet, which has entries for upwards of 50 separate outlays ranging from basic living expenses (housing costs, transportation food) to non-essential items like entertainment, travel and charitable donations. One of the features I like about this worksheet is that it allows you to total essential expenses vs. discretionary ones, which allows you to more easily see how much wiggle room you have should you need to pare back your spending at some point in the future. Admittedly, the figures you’ll plug into this budget may in many cases be a rough estimate. Just do the best you can for now, and then refine your budget as you settle into your retirement routine. But the main idea is to see whether that 3.5% withdrawal rate you have in mind is realistic. As for your investing strategy, I like the simplicity of it, and the fact that by sticking to index funds you are holding the line on fees since, all else equal, lower costs allow you to draw more income from nest egg. Nonetheless, I have a couple of suggestions. First, although a 50-50 mix of stocks and bonds strikes me as a reasonable asset allocation for someone entering retirement, you may as well do a gut check to make sure that blend is right for you. You can do that by completing Vanguard’s risk tolerance-asset allocation questionnaire. Just answer 11 questions that get to such issues as how much of a market downturn you can handle before you start selling stocks in a panic and when you intend to start drawing money from your portfolio and over how long a period you plan to spend it, and the tool will suggest an appropriate mix of stocks and bonds. Click on the “other allocations” link and you’ll see how that recommended mix as well as others have fared in a variety of markets. My second suggestion on the investing strategy front is to consider diversifying more broadly. I have nothing against S&P 500 index funds. But by making that your sole stock holding, you’re limiting yourself to U.S. large-cap stocks. That approach may have worked in the past, and for all I know might still work in the future. But given that many investment pros these days are forecasting significantly lower stock returns in the years ahead, I think it’s only prudent to expand your investing palette a bit rather than have your portfolio’s fortunes riding on one type of stock. I’m not talking about doing anything radical here, like adding funds or ETFs that invest in obscure corners of the market or employ what I consider questionable strategies. Rather, I’m suggesting you at least consider including some small company stocks, which you could do by adding a separate small-stock index fund or ETF to your portfolio or by investing in a total U.S. stock market index fund or ETF, which will give you the entire publicly traded domestic stock market—large and small shares, growth and value, all industry sectors—in a single fund. While you’re at it, you might also think about diversifying internationally, which you can do easily enough for stocks with a total international stock index fund or ETF and for bonds with a total international bond index fund or ETF. Doing that would give you exposure to pretty much all foreign markets, both developed and emerging. There’s no single “correct” percentage of your holdings that should go into foreign securities, but anywhere from 20% to 40% of your stock and bond stake respectively in foreign shares and issues should give you adequate international diversification. If you do decide to make these changes, try to do so as much as possible within tax-advantaged accounts, such as a 401(k) or IRA. That way you can avoid, or at least minimize, the tax bill that could result from selling shares and re-investing the proceeds in new funds in taxable accounts. Finally, a few words about withdrawal rates. Choosing a withdrawal rate is important because more than any other single factor, your withdrawal rate will determine how long your nest egg is likely to last. And although you can certainly find people who might suggest a lower rate or a higher one, the 3.5% rate you’re planning to use—that is, withdrawing 3.5% of your nest egg’s value the first year of retirement and then adjusting that withdrawal for inflation each year—is a reasonable choice if you want your savings to last at least 30 years. But whatever withdrawal rate you decide to go with—and these days 3% to 4% is probably a decent starting point for most people entering retirement—you need to be ready to adjust your withdrawals up or down throughout retirement based on market conditions and the balance of your retirement portfolio. So, for example, if a bear market eats up a big chunk of your nest egg’s value, you might want to forgo an inflation increase for a couple of years or even dial back your scheduled withdrawals to give your portfolio a chance to rebound and reduce the risk of running through your savings too soon. If, on the other hand, the financial markets perform well and your portfolio’s value swells, you might consider boosting withdrawals for a few years to avoid the risk of ending up with a large nest egg late in your dotage, as well as regrets that you hadn’t spent more earlier in retirement when you could have enjoyed yourself more. You can get an idea of how long your nest egg is likely to last at different withdrawal rates and asset allocations by going to this retirement income calculator. By revisiting this calculator every year or so and entering your nest egg’s updated value, you can then get a sense of whether should raise or lower your planned withdrawals.